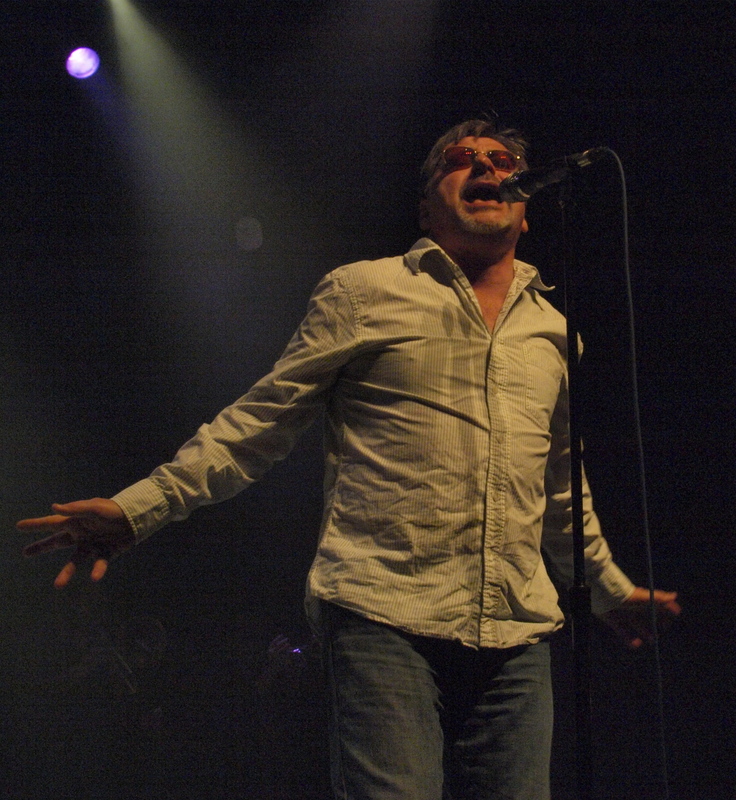 This week I had the pleasure of meeting up with Southside Johnny before his show at Shepherds Bush Empire and had a chance to ask him a few questions. AM – How did the European leg of your tour go? SSJ – Well, we missed our keyboard player, he had some family things, but Amsterdam was great . The best part of Amsterdam is that The Paradiso’s a great venue. We started off with the Solomon Burke stuff because I grew up with listening to that and some of the songs with the early band were Solomon Burke songs. We started “Everybody Needs Somebody To Love” and the audience started singing before I did and I thought “That’s great man” because it really felt like they were attuned to what we were doing and it was a great moment after Solomon had died a couple of days before in Schiphol airport (on the way to a show at The Paradiso). Then the next night was good and the third night was a disaster. AM – Is it a bit strange doing the London show so close to the start of the tour? SSJ – No, you know it used to bother me, London, but we’ve done it enough times that at the end of the tour my voice is completely shot, so I’m glad to get it out of the way. It is still a big thing, an important thing, for us because London is one of those places that you read about when you’re a kid and you can’t believe you’re actually there, but after this we go to Holmfirth and what could be more exciting than that? AM – It’s a great gig venue, though because I saw you there a couple of years ago, without Jeff (Kazee, the Jukes keyboard player), as it happens. SSJ – Yeah, it’s funny. When we first went to Holmfirth I said “I’ve never heard of it” and Graham (Jukes tour manager) said “I don’t think I know it either”, and he’s from up there. We got on some country road to get there and we thought “This can’t be true” but it was a great gig; it’s a really fun place to play. AM – They film a British TV series there. SSJ – They used to. “Last of the Summer Wine”. Every time I say Holmfirth, people say that; that’s what it’s known for. AM – What do you think makes Jukes fans so loyal? SSJ –We’re honest. You know, when we had the bad night we were honest about it. We screamed and yelled and broke things and the audience know it’s not going through the motions and I think they appreciate that in the sense that it is what it is on stage and it isn’t any phoney-baloney stuff and if we’re really having a bad time I try to find some way through it with the anger and sometimes it leads to very interesting things. And also, we try to do it differently every night; try to find different ways to get through. And we’re good. AM – The new album “Pills and Ammo” came out earlier this year and you’re playing quite a few songs from it on the tour. How’s that going? SSJ – Well, the thing is, when I started writing the album I really didn’t think about how it would translate live and then I listened to one song, I can’t remember which one it was, “One More Night to Rock”, maybe, and I thought “This is gonna go great live” and then when we went into rehearsal all of them sounded good and finally we got on stage and they all worked well because they’re all rock and roll songs and they’re much more instantly accessible, you know, and the aggression is there and the venting of the frustration that people are feeling about the economy, so it really worked out. It was funny for me that almost all the songs work live and I don’t have to worry about it, I can throw them in anywhere. AM – The album’s quite guitar-based, which is a bit novel for you. SSJ – The funny thing is I wrote it with my keyboard player. That’s why we brought in Andy York from John Mellencamp’s band because he’s such a great guitar player, real rock and roller, and between him and Bobby (Bandiera) the songs just took off on the ideas they were throwing at each other. AM – That’s a very Rolling Stones thing isn’t it? At the time the Jukes were starting, the Stones were really doing the twin lead guitar thing. SSJ – We listened to a lot of that stuff and I was trying to get some inspiration for what I wanted to do with the guitars and I went back to “Sticky Fingers” and The Faces and The Who and, just big guitar sounds. AM – That’s got the guitar album out of the way. Any plans yet for the next one? SSJ – I have an acoustic album I’ve been writing for a few years; just acoustic instruments, but that doesn’t preclude horns, it just means we won’t be big and bold, it’ll be more introspective but I don’t know if that’s the next one I’m gonna do; I have a couple of other ideas too. AM – “Pills and Ammo” is the 4th studio album on your Leroy label. SSJ – I wouldn’t know, I guess so. AM – So how is it different; the way you work now compared to the late 70s and early 80s? SSJ – Well, Stephen (Van Zandt) and I, when we were making records, the first three records, we did what we wanted to do but it was against some opposition but it was also sub rosa. We wouldn’t let them hear anything, the record companies, and I kind of got into the idea that the less everybody knows, the better, except for the people that are making the music. This way, I don’t have to hide anything; I do it at my pace, I get it to the point where I like it, I don’t worry about anybody criticising it from the interior and the people who I ask questions of, I trust. So being your own record company is a great freedom in that it leaves you alone when you want it to and then I’ve got to be the president and figure out ways to promote it and do all that stuff. AM – I noticed on this tour you’ve had a few planned and unplanned personnel changes. How do you deal with that? SSJ – Well, you know, our bass player John Conte’s out with some huge German rock star so Skip Ward has come in to play. They learn the songs and we go through rehearsal but it’s more about gelling on stage and you have to let people make mistakes and find their own way through and you have to have patience, but you also have to trust in the music to and sometimes when you bring somebody new in it doesn’t work. Jeff’s replacement is Bobby Lynch and he’s great and we’re always happy to have him. I don’t know; the right people come in and you know it. If the wrong person comes in, you also know it and you say it’s not working out and you try somebody else. AM – That leads me really neatly into the next question. The guys are all phenomenal musicians. SSJ – Yeah, they are really good. AM – So how do you keep all that energy focussed and going in the right direction all the time? SSJ – Physical threats. No, I think they take the cue from me in that I really care about it and they really care about it. You know, there are complacent acts on stage and the bands are happy to play if they like the music but the fire isn’t there and I don’t know how to do it that way. There’s nights I wish I could just sink back and relax but I’m just not that kind of person. I really want to push it. It’s not always the best thing, but there it is. AM – Your voice, you’ve been singing for..
AM – Over 35 years. Do you do anything special to keep your voice in good shape because that’s a long time? SSJ – Drink like a fish and sleep like a log. No I don’t; I don’t do any exercises or anything like that. I’ve never really had any vocal lessons and I’ve never figured any other way to do it than to just get up and do it. My training was in pubs and bars for 30 years, so I know how to do that. AM – A lot of musicians have passed through the revolving door of the Jukes..
SSJ – They sure have..
AM – Do you always try to make it a positive thing when that happens? SSJ – When they go? AM – When somebody comes in to replace them. SSJ – If they’re the right person, yeah, sure. Of course I want them to bring in what they bring in and I want them to feel comfortable and I want them to have fun on stage; that’s what it’s all about and I never have a problem with anybody leaving because I think if they’re going to what they think are greener pastures I want them to go. I’m always into people finding other places, doing other things. It can be painful, like Bobby. I mean we miss Bobby, but he’s got things he wants to do and he’s working with Jon (Bon Jovi), which is a lot more money obviously, but also he has his own bands, 2 or 3 different type of bands in New Jersey so it’s what he wanted to do for a while. I’m all for it, I don’t really have any problem with anybody trying out something else. AM – From the message board on www.southsidejohnny.com there was a lot of really negative stuff when Joe ( Bellia, former Jukes drummer) left earlier this year. I guess the fans get to love the band. SSJ – Yeah, and I love Joe too, but a change just had to be made, guys wear out in this band and sometimes they need some time off. Bobby is another one, I mean he just couldn’t do it any more; he needed something different. AM – And the final question, I’ve got to ask, how much of the set list do you think you’ll actually play tonight? SSJ – We’ll play it all; just not in that order. No, I don’t know, what’s the difference anyway? Over the years you get to read an audience and read a night and you really do have to trust your judgement as to what should be the next song. You sit down to write a set list but by the time you get to the fifth song, the mood might be different and you want to go with it. And also it keeps the band on their toes, I mean it makes it so that they can’t just sit back; they’ve got to pay attention, which is important in this kind of music. You’ve got to play to the music. AM – Thanks for the interview and I hope the rest of the tour goes really well. Saw him in Edinburgh and Glasgow – quite a few tracks played from the new album and I totally agree that they sound great live.